If you expect a Hollywood movie or professional acting, this film is not for you. 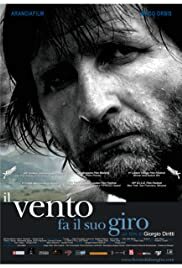 But if you leave behind all your expectations about this beautiful film by an unknown Italian director played almost entirely (except for the leading role) by non-professional actors, you will enjoy it until the very last second. This film is special also because it portraits the life of a people, that of an Occitan-speaking village in the Italian Alps, which rarely finds its place in modern mass media. Tradition is for these people what holds them together. Diritti challenges their - and our - definition of tradition, by showing that the locals fail to understand that the stranger, who practices the same way of life that was once widespread in those mountains, has something to teach them about their own identity. Brilliant.